Looking back on 2016, it’s difficult to remember more uncertain times. Life in a PR agency certainly always has more than its fair share of ups and downs, but this year it has felt harder than usual to predict and anticipate what exactly is around the corner. A major silver lining is the fact that the early part of 2017 looks brighter and there seems to be more confidence in the air than early 2016 looked in the final quarter of 2015. Clients in December 2016 seem more certain of their plans for at least the first quarter of 2017 than they were the year before, and that allows us as an agency, at least from our perspective, to plan with more certainty and celebrate the successes of 2016 with a confidence and an optimism that 2017 will see a lot of that success continue. While we certainly don’t live in a UAE bubble in our agency, as we have clients spread out all over the region and a rapidly growing business in Saudi Arabia, the costs of managing a business here when you have around 20 staff are a challenge. A business of around 20 people is not small enough to fit into many of the more cost effective office space options in Dubai, but equally is not large enough to command the economies of scale of being able to take a whole floor of a building, for example, and negotiate pricing accordingly. Dubai has never been a cheap place to do business, but expansion into new quarters in Media City for us at least have required investment on a scale we have not committed to for many years – other than in terms of hiring new talent. Talent is what makes us tick, and we have had to be increasingly adaptable in who works on what, and who we hire. Expanding business in Saudi Arabia, and new clients in Kuwait, mean increasingly hectic travel schedules for many, and the need for everyone to fine tune their time management and organizational skills to better manage time out of the office. Economic uncertainties, and the fact some clients are increasingly feeling that agency retainer models do not offer the flexibility they need, will mean that agencies could well undergo a shift in business operations and therefore in workplace culture – as they offer services to clients that are project based or priced on unit time, or cost per hour spent, rather than the all-you-can-eat model of the retainer. Managed well, and with clients that have experience of communications programmes and very clear expectations, retainers can be best for both sides, giving the agency fiscal clarity and the client predictability. In-house communications leads, however, find it increasingly difficult to justify the retainer based model, especially if they are working in the professional services field, where hourly billing is more normal, and more comprehensible to senior client decision-makers. Hourly-based billing requires agencies to demonstrate the highest dedication to ethical practices, in terms of recording of time and invoicing of clients. It also requires agencies to think more carefully about the impact of hourly based billing, versus retainer based models, on their staff and how happy and satisfied they are, as well as how profitable – or billable – they are. Billing time and producing your best work are two very different things. While the Middle East is famously made up of avid social media consumers, with smartphone and YouTube penetration and consumption figures oft quoted, brands are still at the earliest stages in getting to grips with how to engage with audiences using social media. The missing link is the difficulty of measuring not just sentiment and reactions to brand messages, or engagement with campaigns, but having an understanding of consumers’ preferences and habits that can be turned to advantage for brands and help the way they talk to customers, every day. There is very little data, up to date data, in the Middle East region, that truly reflects how consumers here are changing, and have changed, in recent years – what they like to buy, what they think. In creative terms, brands are looking for more precise ways of engaging with consumers and measuring impact, and there is now more recognition among marketers of the fact that even the most exuberant dazzling creative campaign won’t necessarily deliver engagement or influence. This means there is more interest in integrated planning, and including communications at the very beginning of the marketing planning process. 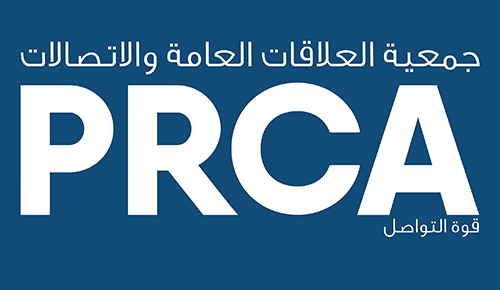 PR agency personnel in the Middle East need to get comfortable with other areas of the marketing disciplines, so they can understand how the pieces connect and can explain the high influence of earned media, or social engagement, on consumer perceptions, and on starting and shaping conversations that matter.